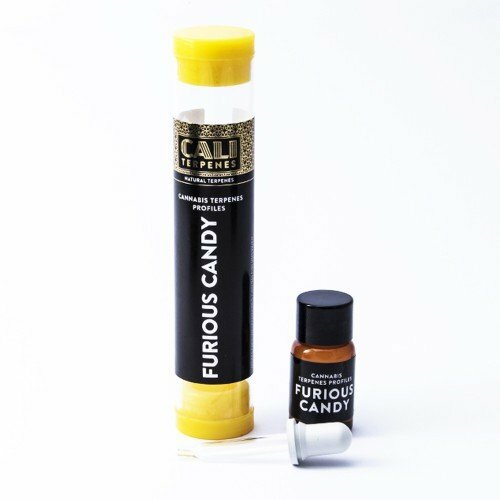 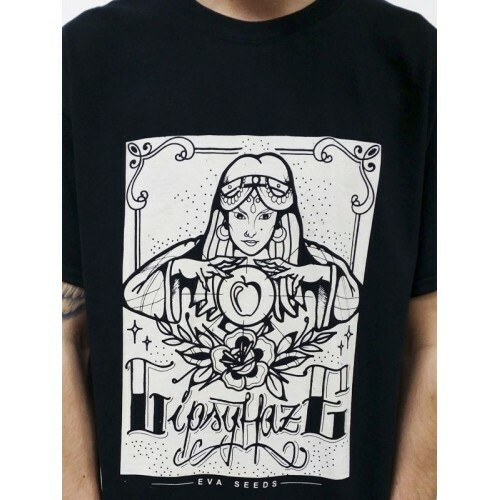 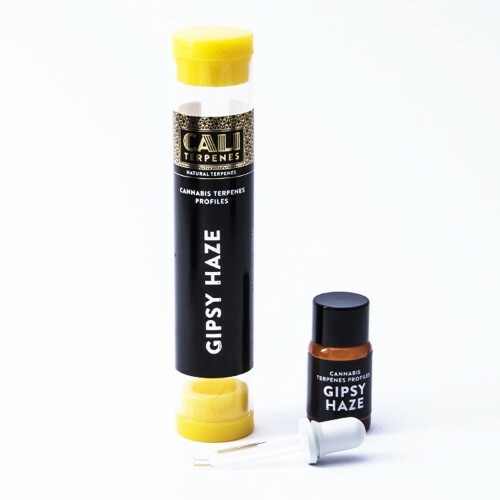 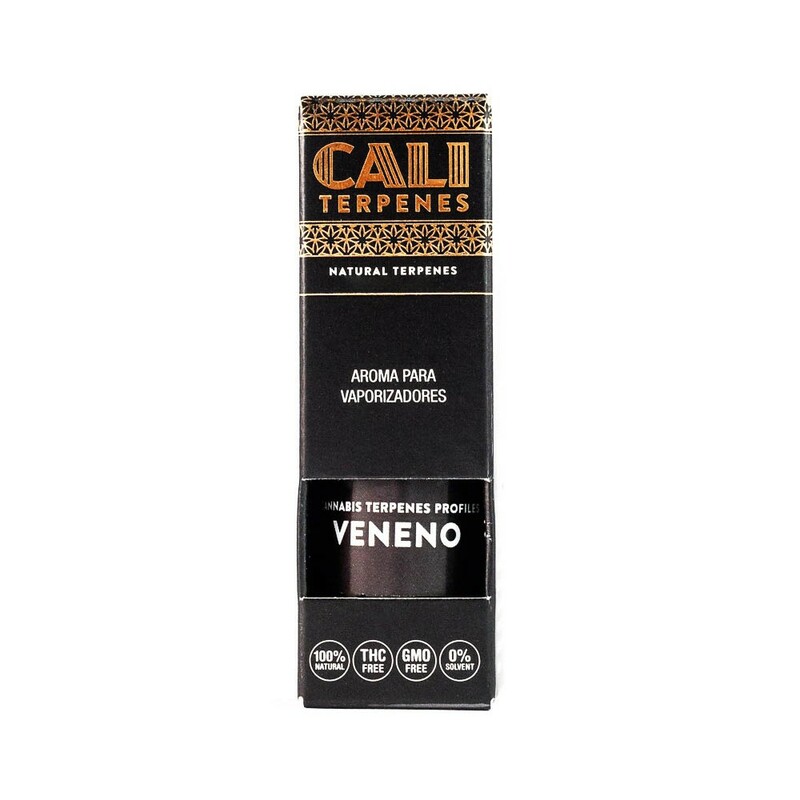 The Veneno terpenes by Eva Seeds, made by Cali Terpenes, are 100% natural terpenes perfect to add aroma and flavour to extracts, resins and oils, as well as to dissolve high-purity extracts to use in "dab pens" and to mix with glycerines and other vaporising liquids used in electronic cigarettes. Terpenes free of cannabinoids (THC, CBD,…), solvents or heavy metals. 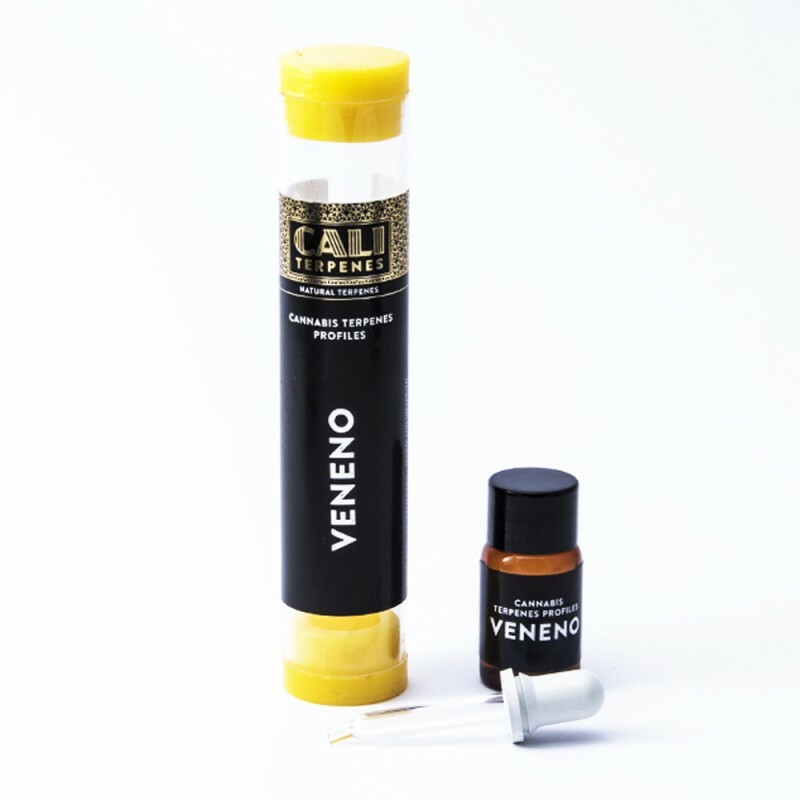 The Veneno (Papa’s Candy x Monster) cannabis terpenes profile of Eva Seeds was made by Cali Terpenes. 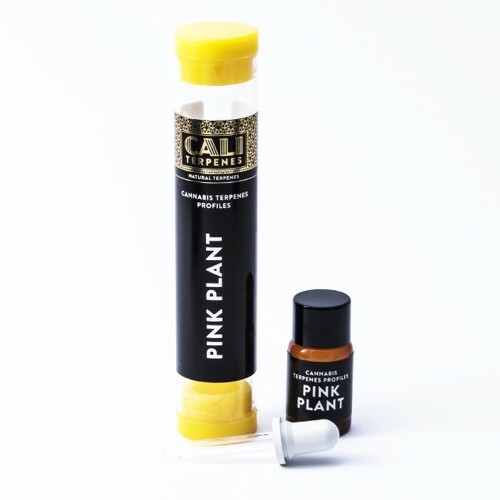 These 100% natural terpenes in liquid format have the exact profile of the results of the analysis of GC and EM of Veneno.